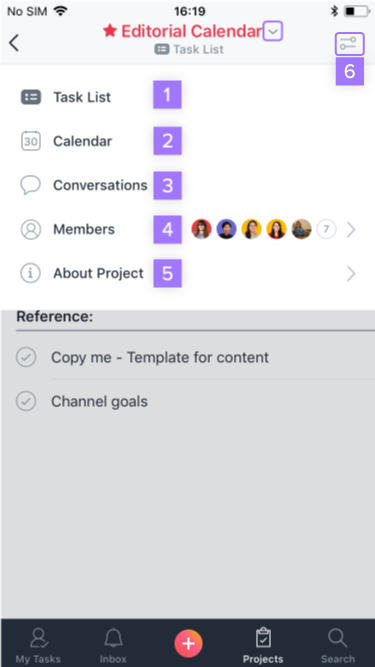 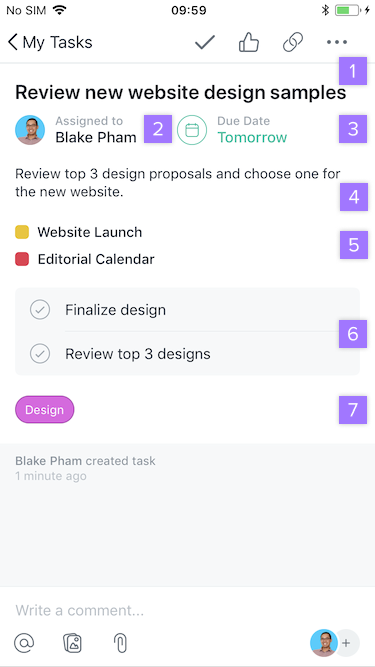 You can also create a task directly from your My Tasks list. 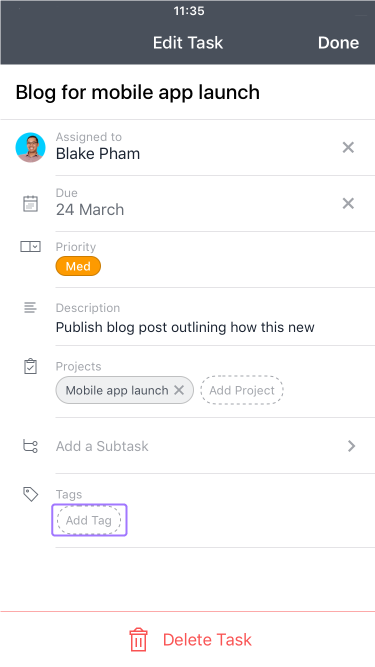 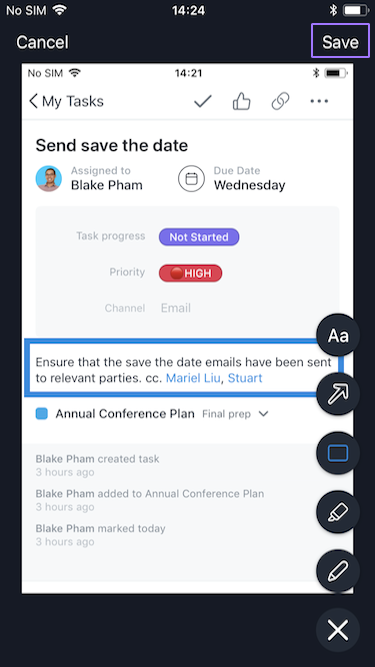 If you expand the task pane, you can also add subtasks, photos & attachments. 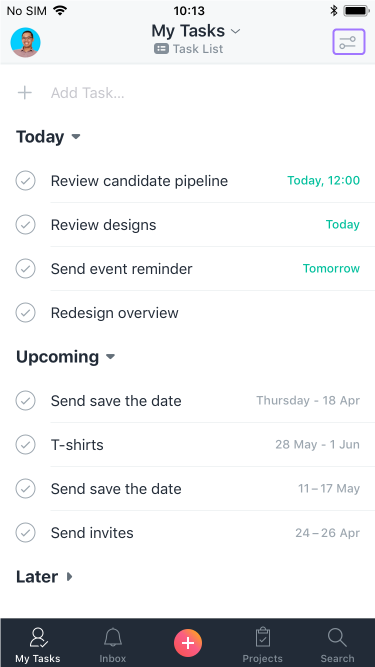 From here, you can select to filter your tasks by incomplete, completed, all or you can choose to sort your task list by due date or likes. 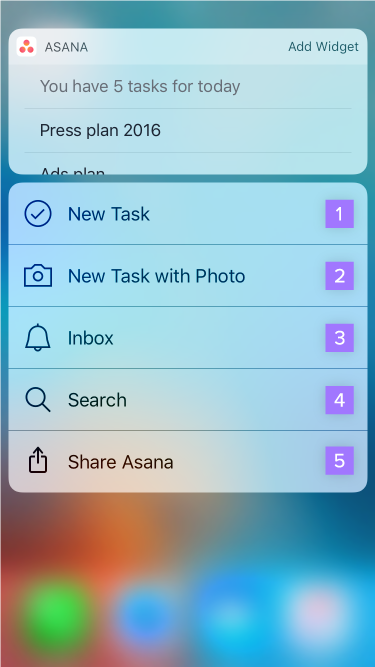 Hard-press the Asana app icon from your home screen. 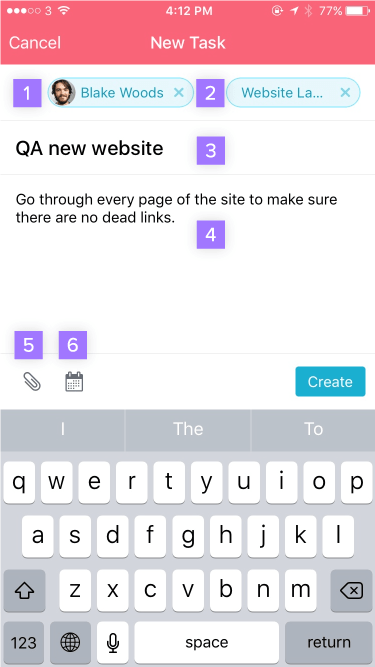 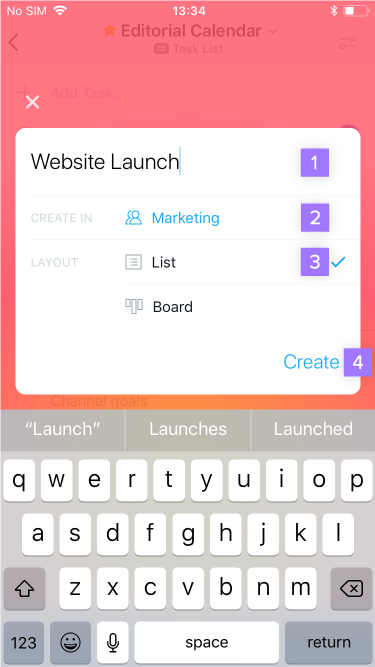 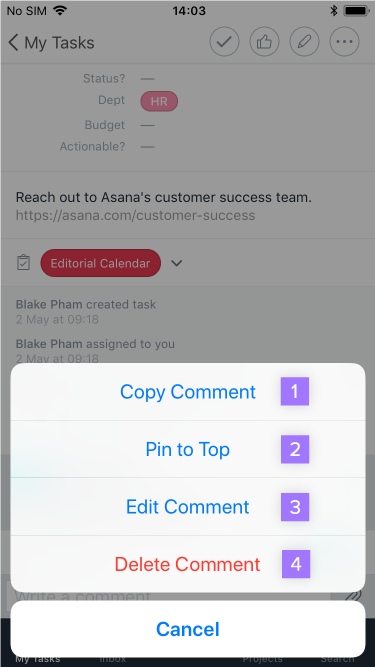 Create tasks in Asana from anywhere using Siri. 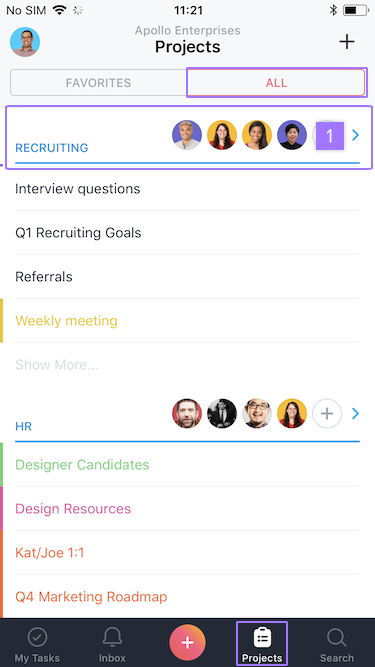 This integration works in multiple languages. 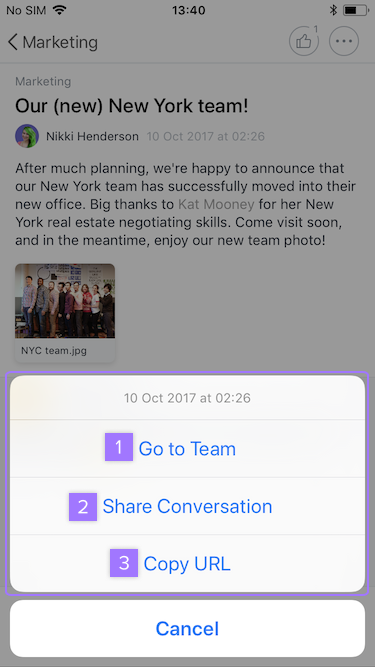 You must have iOS version 11.0.0 or higher to use Siri task creation. 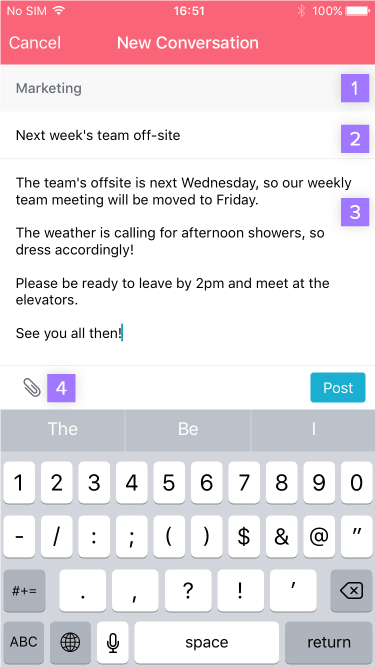 Learn more about our accessibility features. 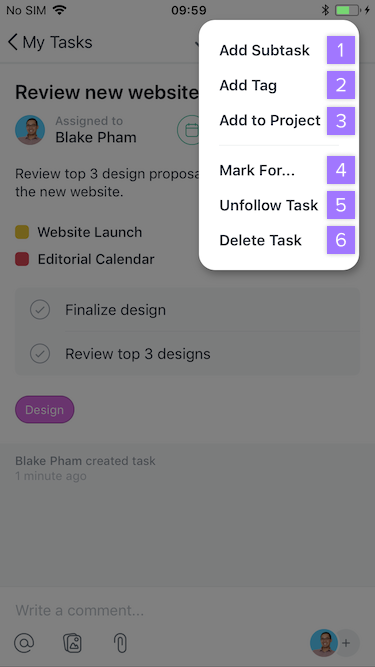 Tap any task to view or edit its details. 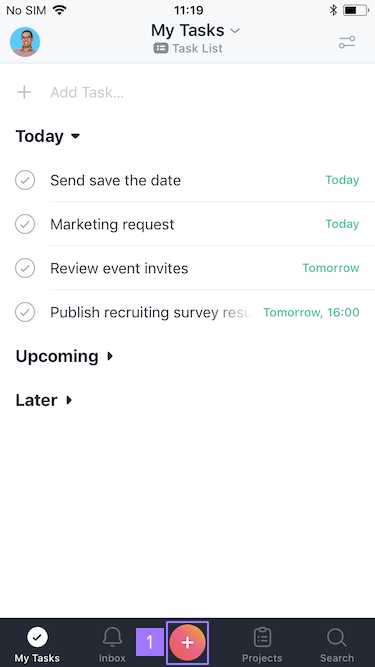 From the details screen, you can also carry out task actions. 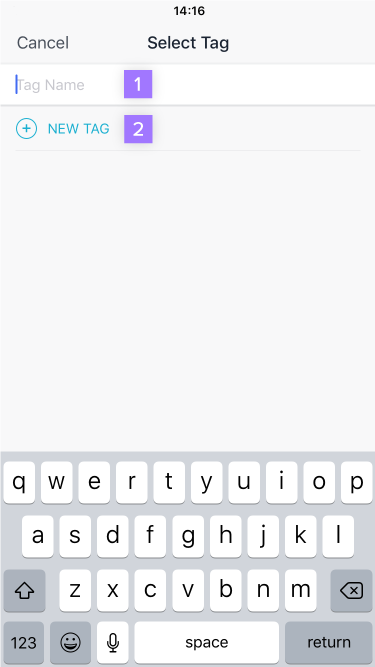 When you tap the three dot icon on the top right corner of your screen, you can access more options. 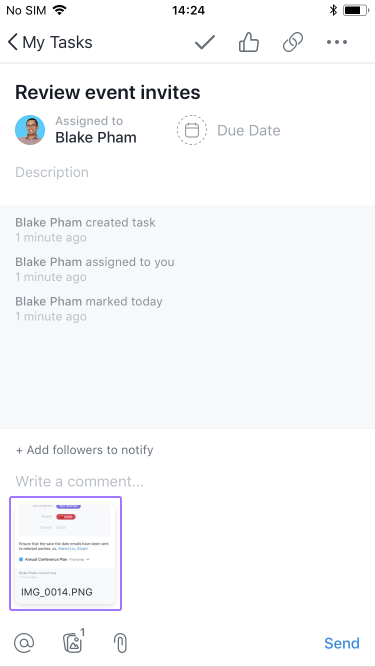 It’s also possible to copy a comment or pin it to the top of the comment list in a task. 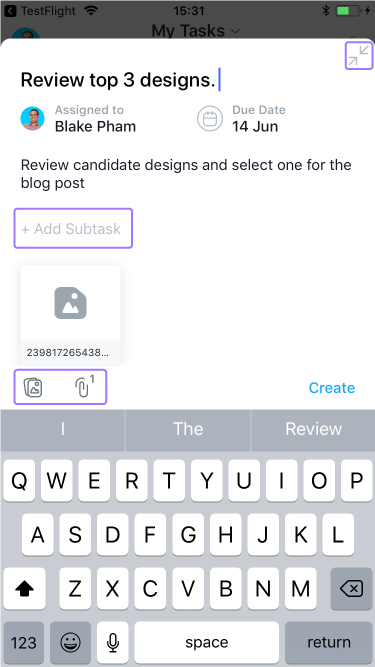 You can edit or delete your own comments as well. 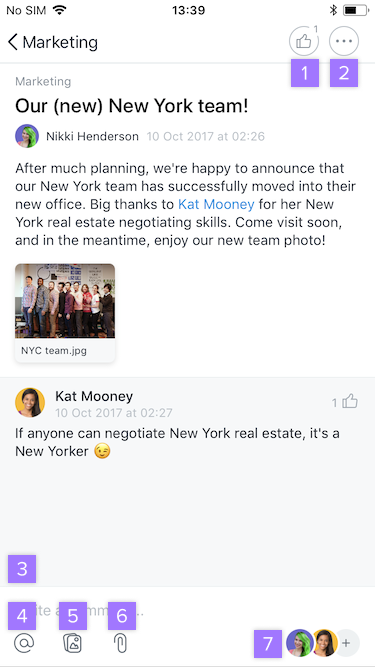 You can only delete or edit your own comments. 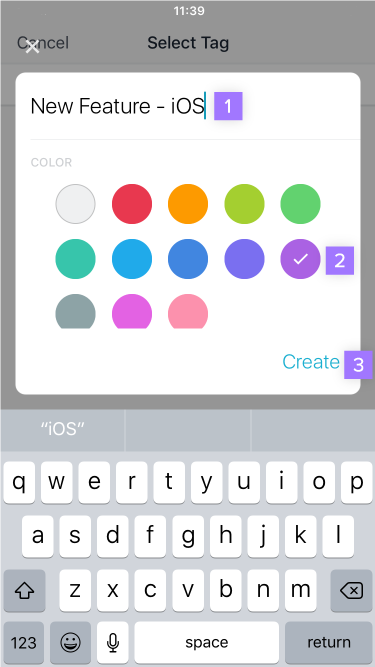 Once you’ve either selected an image or taken a photo, tap and hold the image. 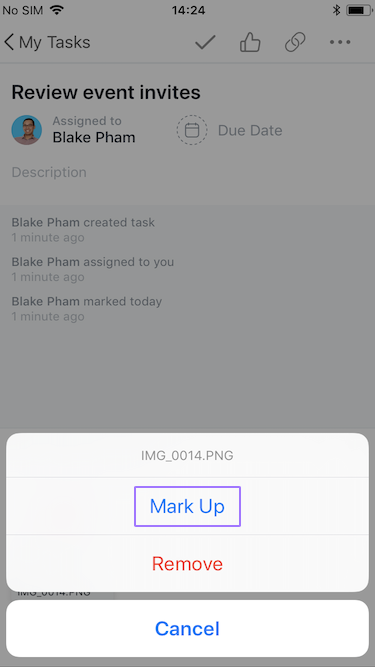 From here, select Mark Up. 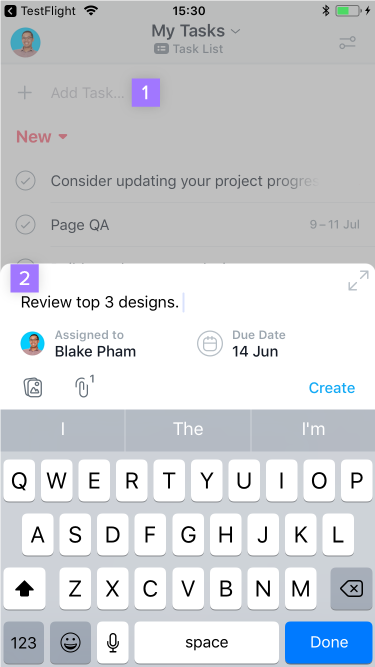 Add a start date to your tasks so you know when to start your work, how long it should take, and never miss another due date. 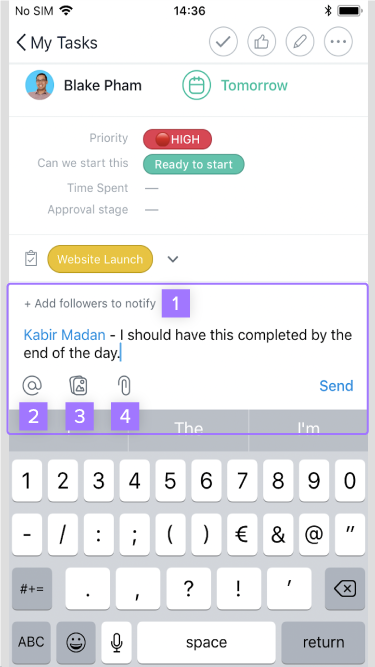 Enter the day you need to start working on your task as your start date. 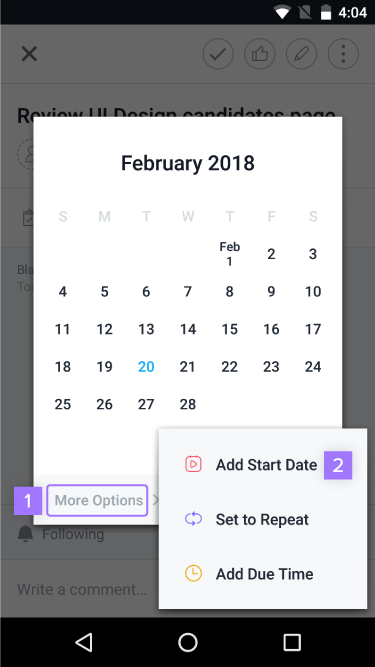 Then enter the date you need to complete your task by as your due date. 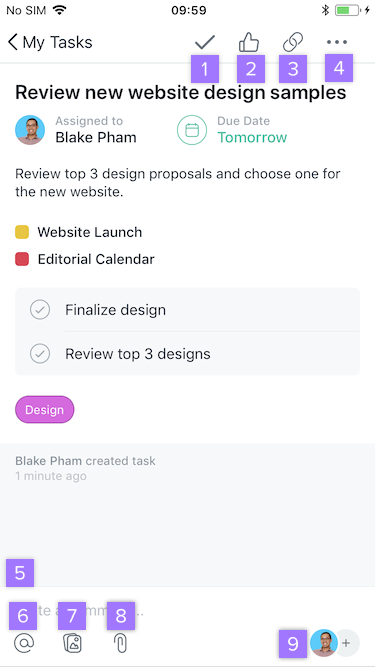 Access any project in order to view and edit its details. 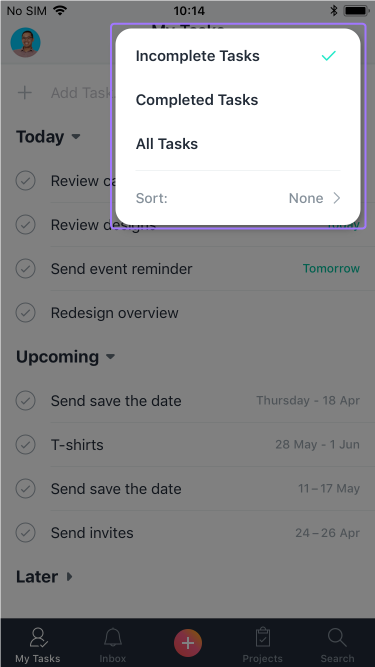 If you click the slider icon on the top right of the screen, you can sort your tasks by incomplete, completed, all tasks or by custom field. 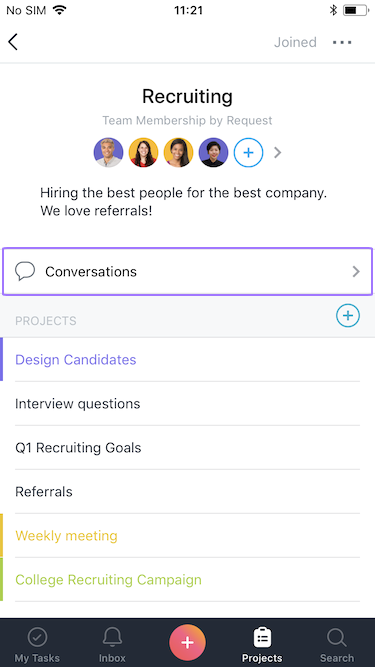 From here, tap the Conversations icon to see all team Conversations or create a new one. 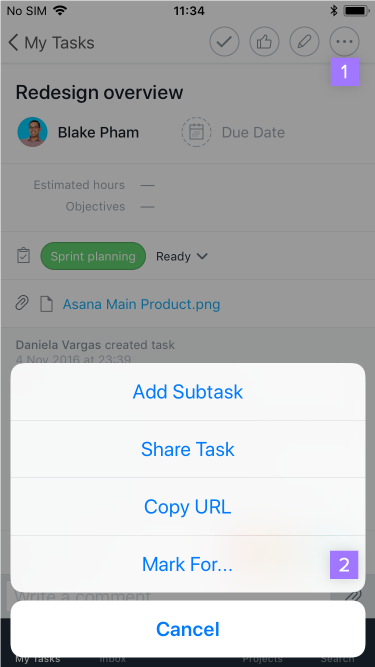 This section of the Asana Guide explains how to use Asana on iOS. 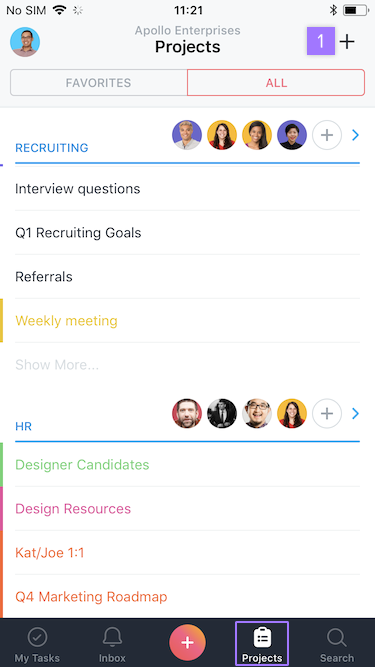 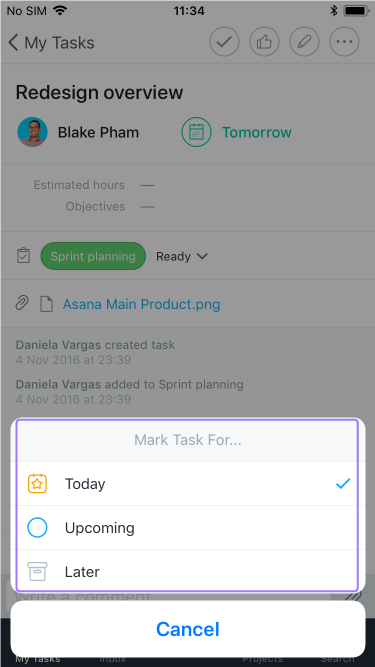 Learn how to use the Asana iOS app. 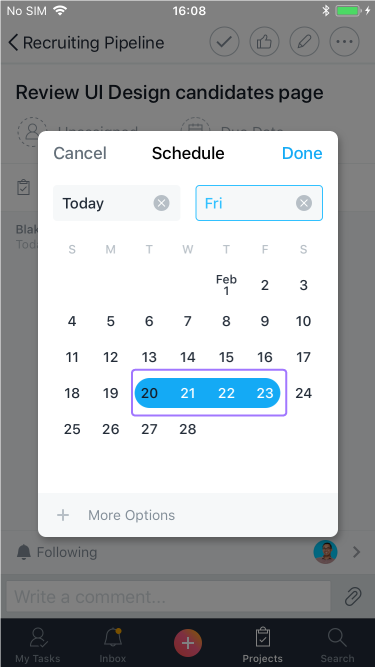 This section of the Asana Guide explains how to access projects, stars, and recents from Asana’s iOS app.